What goes better with a two color palette than sugar-spun? Hehehe. I also had a neon orange Mundo de Unas stamping polish that was supposed to work well over black! I am a little bummed the two oranges did not match up. I was also surprised how sheer the stamping polish came out. It worked well over other colors, I guess I should give it a break since it is difficult to show up over black. I hope you like my manicure! I used 2 coats of Wet n Wild Black Creme as my base. I really love this black. The consistency is awesome, the polish itself is cheap. I am thrilled I found it in the back of my stash! I sugar-spun with my trusty Color Club Wham! Pow! 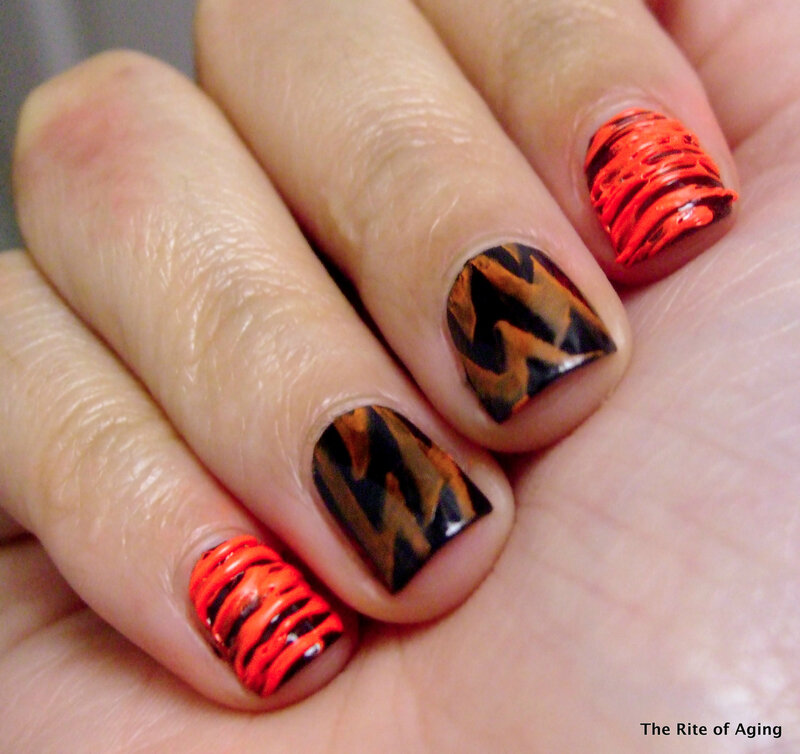 and I stamped with Mundo de Unas Neon Orange (28). Thank you, Kairi!! From the look of it, it seems to be the only black (or maybe one of the two) in the line so hopefully!